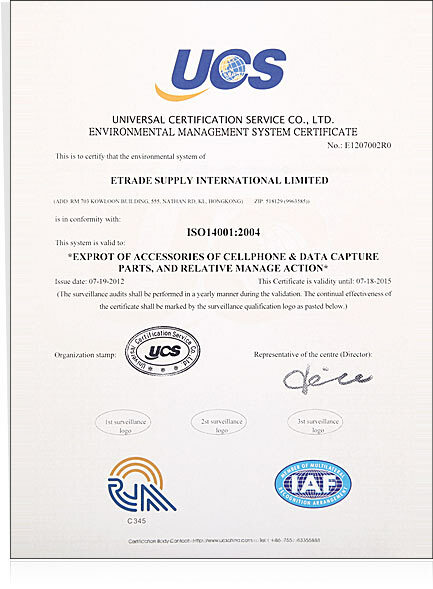 ETrade Supply is the first enterprise of the electronics parts service industry to get the ISO9001 certificate of quality system. ISO Quality Management System is a standard system enacted by the International Standardization Organization (ISO). Its content is established by the Quality Management Technology Committee. It can help to improve the quality management system of the organization. It can also help to boost the international trading activities, eliminate trading technological barriers and advance the managing level of the organization. In this newly-born and multiple electronics parts repair industry, the ability of integrating external resources and monitoring well the internal quality is very important. It is the key point for decide whether we can provide high quality products to customers very quickly. Respecting customer has always been one of the core values since ETrade Supply established. ETrade Supply has always been trying to improve customers' satisfaction as well as improving its own integrated ability. 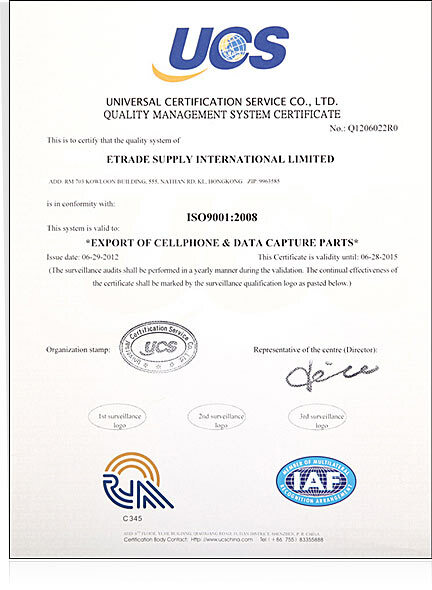 ETrade Supply owns a very impeccable quality management system. It has a QC team of over 50 workers, which includes over 10 QC engineers. In addition, it has hundreds of qualified testers and efficient and informationized order fulfillment centre. Each unit will have a strict cosmetic and functionality test before they are shipped to customers. The ISO14001 International Standardization Organization 207 Technical Committee (TC207) has set up a series of International Standardization for environmental management ever since 1993 with a hope of standardizing the voluntary environmental management activities of organizations like enterprises and social groups, improving the organization's performance on environment, supporting global sustainable development and environment protection work. The value of ETrade Supply is to make the post-sales value chains of electronic products more convenient, economic and environment friendly. During the manufacture and quality check process, ETrade Supply conducts overall environment protection with the criterion of ISO14001 under the supervision of Environmental Quality Supervision Institution. ETrade Supply makes the world more beautiful.